I am a one-big-project-at-a-time girl. 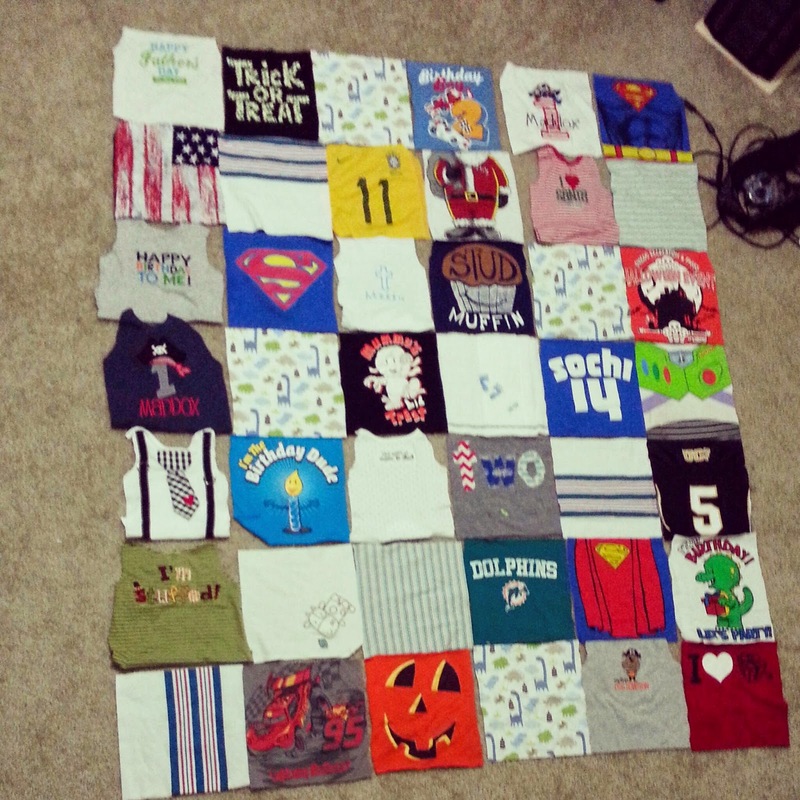 I might make a block or two, or a pillow, but I don't typically have multiple quilts going at once. Just the thought stresses me out! But right now, sigh, I'm in the midst of a baby girl quilt for my boss and a baby t-shirt quilt for a friend from elementary school. These are both Instagram photos - follow me @sewfestive for day-to-day sewing. Are each of those little triangles pieced? You. are. awesome. Love the colors. Lot of work in all those little triangles. Good luck with the sewing this weekend! ha, that is how I am too--one big project and maybe one small one--more than that and I get stressed and feel like I'm not making any good progress on any of them! I love the first one--great colors and borders! 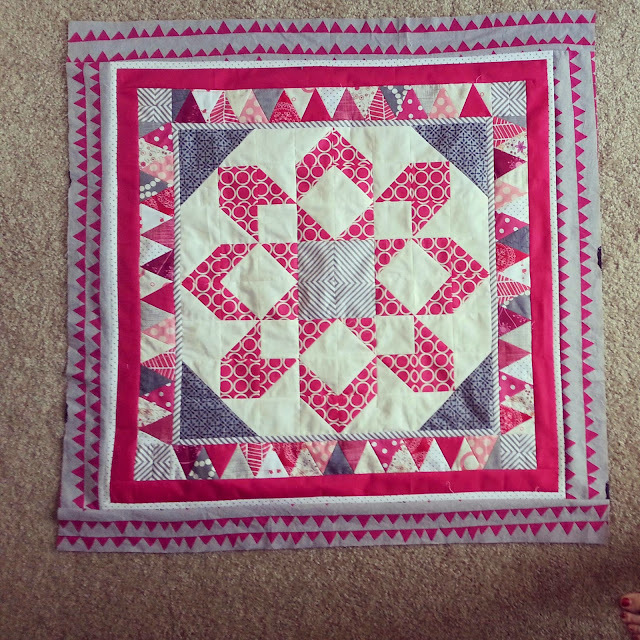 those are tiny triangles in the border! Very nice use of varied prints in the center.